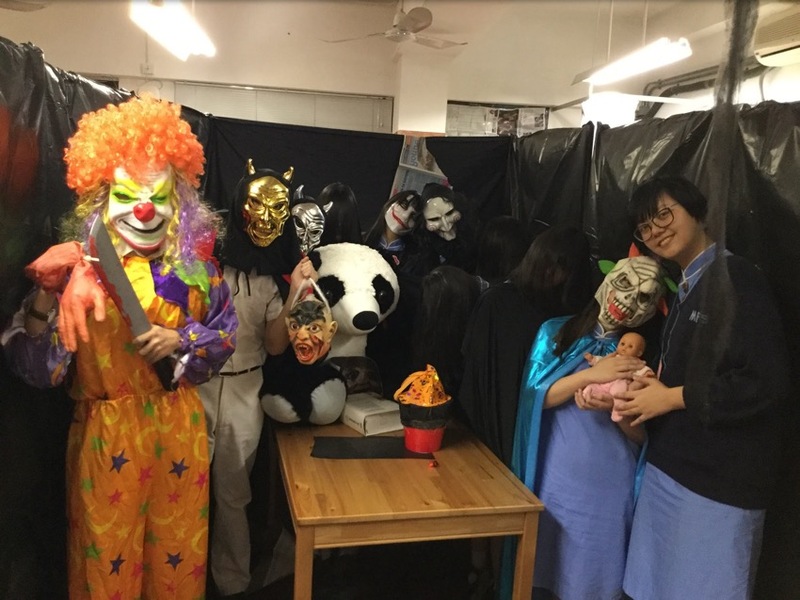 Remember the haunted house in the English Café last year? 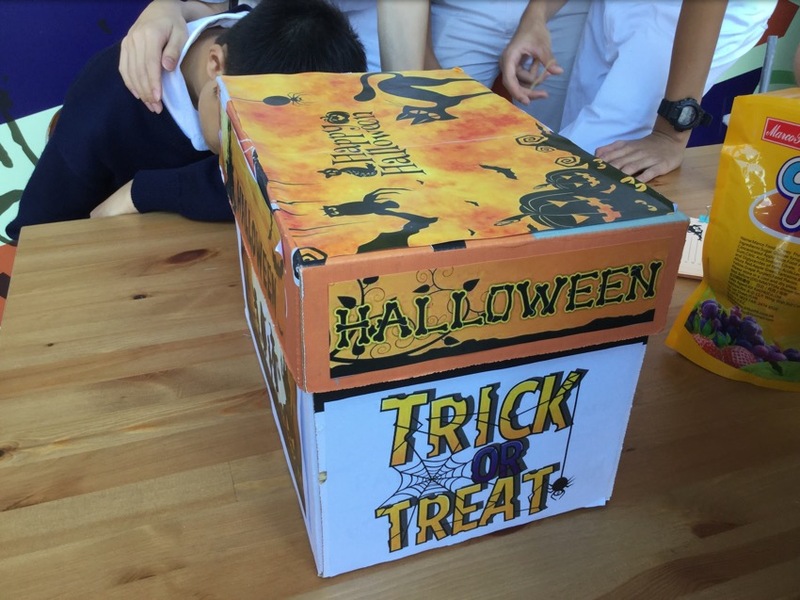 Want more fun and activities for Halloween? 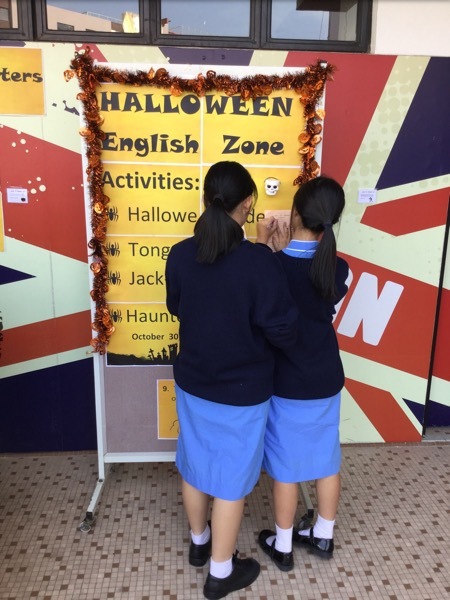 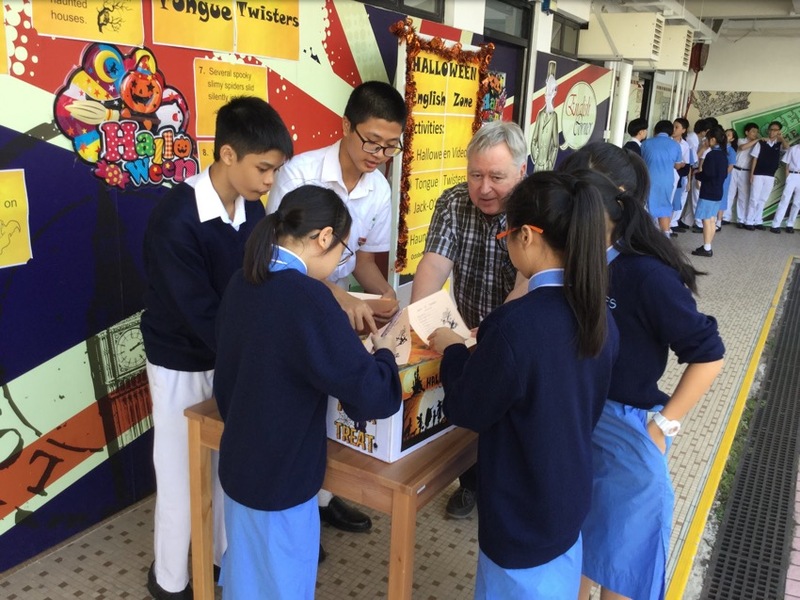 This year, the English Society co-organized the Halloween activities with the Student Union. 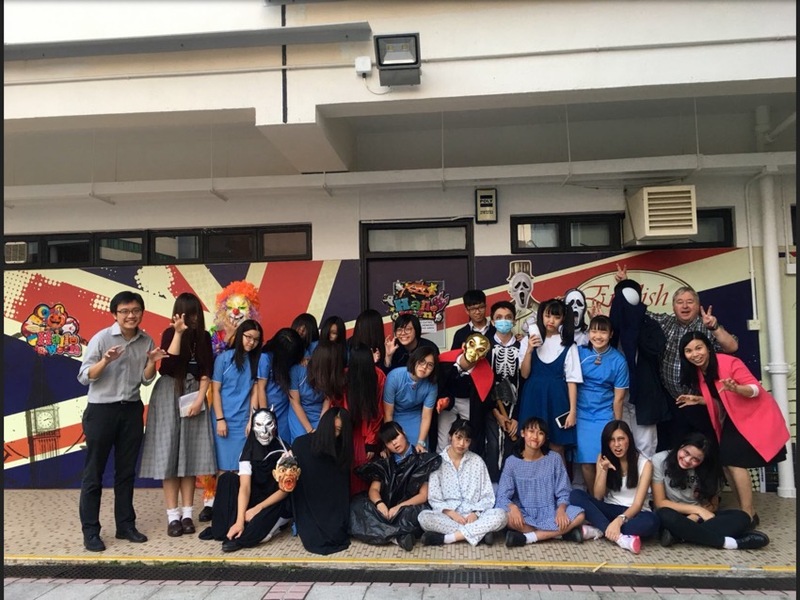 There were two haunted houses in the English Zone. 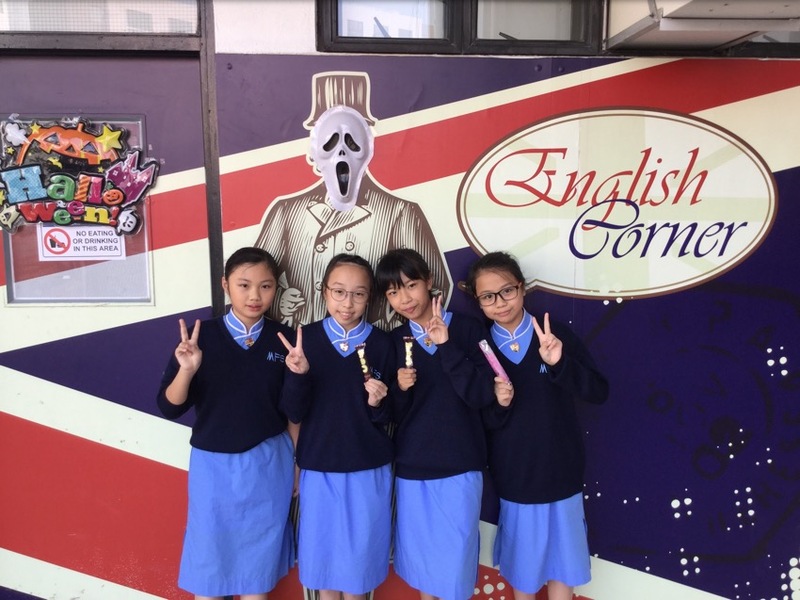 They were open during lunch and after school. 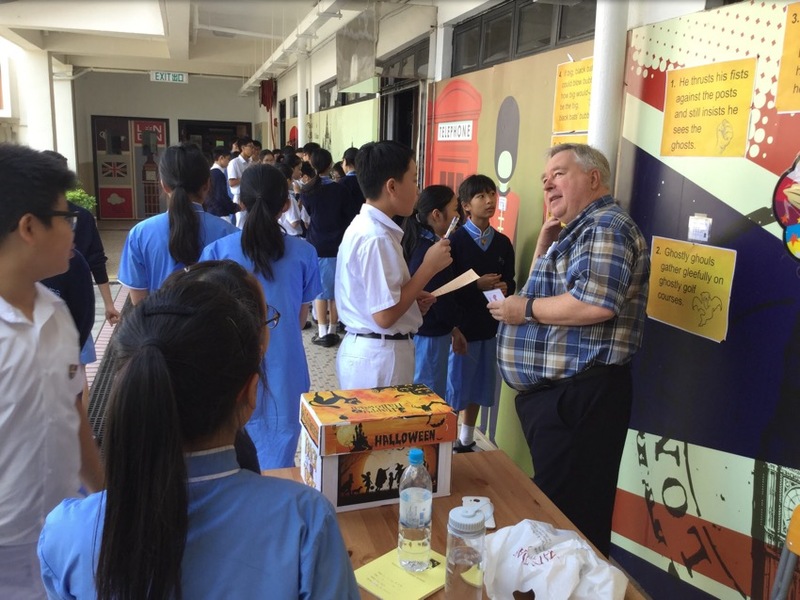 The haunted houses attracted a lot more participants than last year! 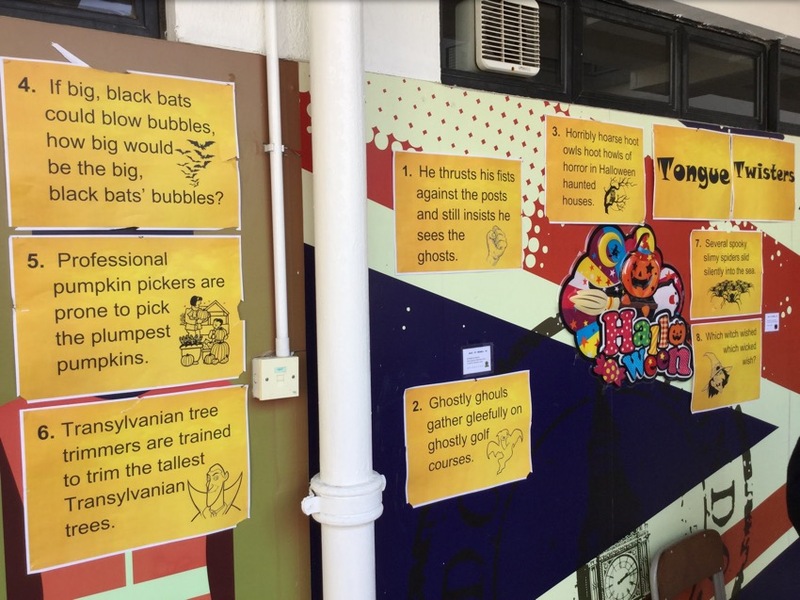 There was also a teacher’s booth for Halloween tongue twisters and quizzes. 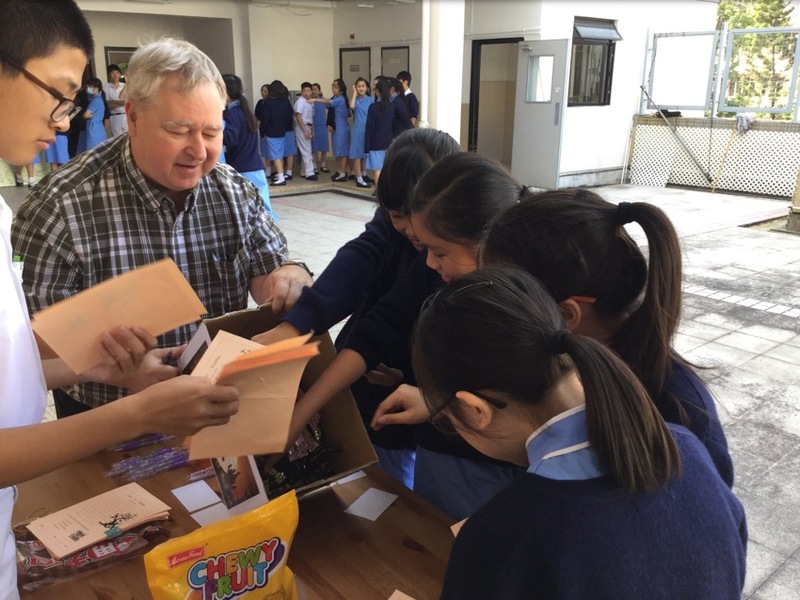 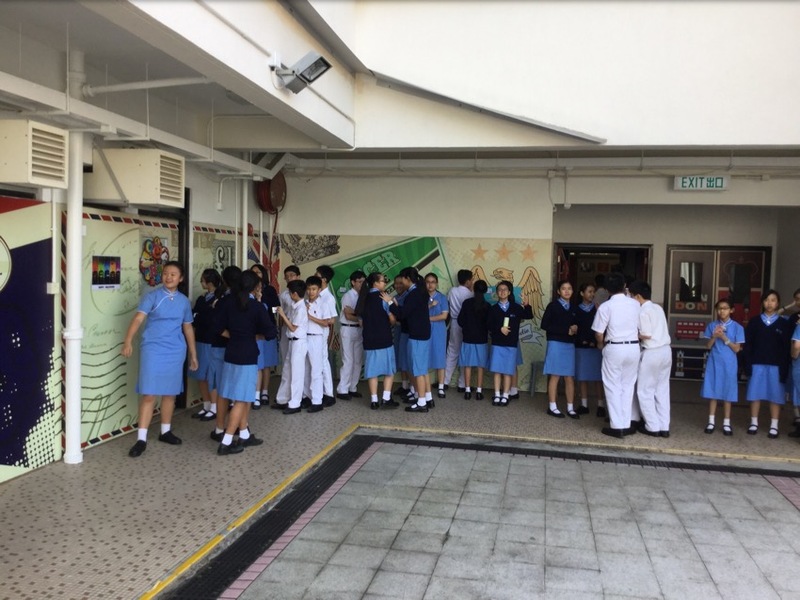 Students could get a treat after completing their tasks!